Perfect solution for professionals, students and novice players. 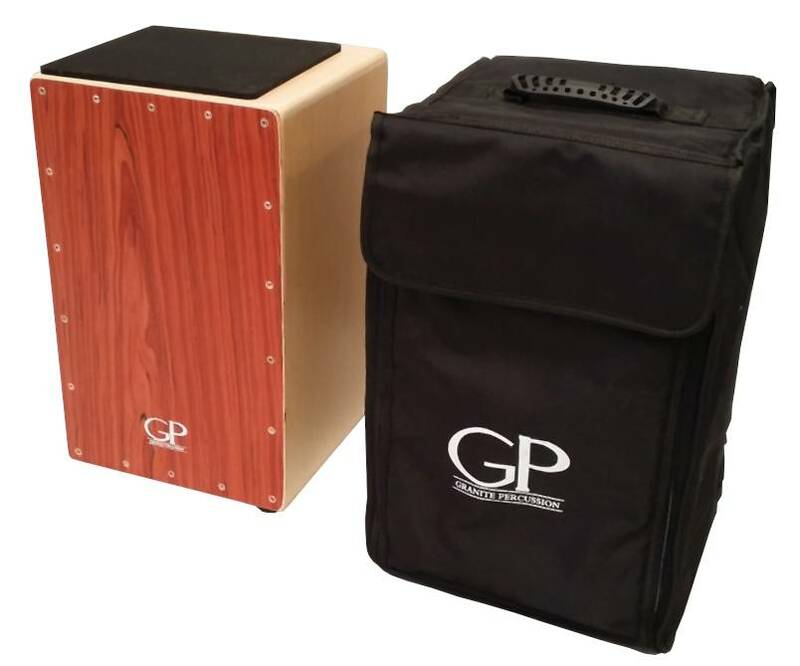 Granite Percussion delivers exceptional quality and remarkable value in highly affordable percussion accessories, ethnic instruments and rhythm effects. Very happy with my purchase. Easy to learn and within 2 months was playing with a band. I just picked mine up today and I am already impressed. The sounds are nice and crisp. Bass is nice and solid. The included case is of decent quality. Not the best but it'll get the job done. The only thing I'd change is the position of the snare. I find it could be move up a little further toward the top. I'll have no problem with playing this out in public or in a performance. Overall, an excellent deal. Highly recommended as a first, or third cajon.